Book Review: Pachler, N., Pimmer, C., and Seipold, J. (2011). 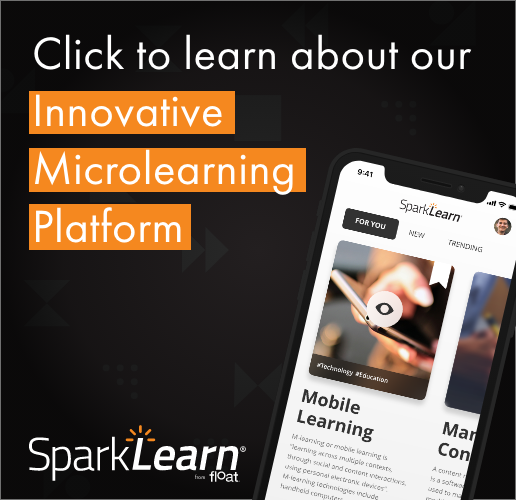 Work Based Mobile Learning: concepts and cases. Bern, Switzerland: Peter Lang. Professor Norbert Pachler at the Institute of Education, University of London, is one of the most prolific researchers in the field of mobile learning. In 2007, he founded the London Mobile Learning Group with other researchers in the fields of cultural and media studies, sociology, semiotics, pedagogy, educational technology, work-based learning and learning design. One of his latest works is a book of papers co-edited with Christoph Pimmer and Judith Seipold on “work-based mobile learning,” with chapters written with other colleagues from Europe. Perhaps because it is an edited volume, I found the content of this book less dense and academic (and therefore more useful to corporate trainers) than Norbert’s other major co-authored book in this field – Mobile Learning: structures, agency, practices. I assume that the editors use the term “work-based” rather than “workplace” learning because, with mobile technologies, work has become uncoupled from any specific place. The first chapter is an overview of the book in which the three editors suggest that work-based mobile learning is a combination of work-based learning and mobile learning, and define this new combination as “… learning at work, for work and through work, an approach that bridges embedded workplace learning perspectives and those that frame workplace-based learning as a series of programmes.” Examples include placements as part of (higher) education programmes (learning for/through work), learning that is offered in the form of compliance training at the workplace (learning at work) and…social, cultural and political dynamics of workplace learning (learning through work). They then discuss the question, “What is work?” It is indeed a wide perspective taken in this book. 1. Engagement is essential for learning to take place. – in the social world of the participants. 3. When learning is well situated in each of these three ways, engagement learning outcomes and potential for re-contextualization are all enhanced. 4. When learning is poorly situated in any of these three respects, engagement, outcomes and re-contextualization potential may be diminished. Other chapters cover the social learning benefits of workers on the road, how workers can share information on the road, the use of mobile simulations and virtual laboratories, ethical issues surrounding work-based mobile learning, and the near future of mobile learning. The section on ethical issues really interested me, because it is a topic that is relatively neglected in mobile learning publications. For some workers, using mobile devices in the workplace raises serious ethical issues. These include issues around the spontaneous creation of digital data/materials for professional purposes and how they are used, and issues of power, accountability and vulnerability. Employees of prisons, hospitals and psychiatric facilities are in the position of being able to take advantage of those in their care through the recording and distribution of audio, video and photographs that are potentially harmful. While there is some discussion in the technology literature on threats to privacy, this book also points to the rise of “souveillance” whereby ordinary citizens use mobile devices to document and distribute images of abuse by those in positions of power. This is a complex area that is still in flux and needs further exploration. The authors of the two final chapters on the future take different approaches to gathering data on their subject. Christoph Pimmer and Urs Gröhbiel combined Delphi and scenario-based methods to produce a survey of experts on the near future of work-based mobile learning. In the last chapter of the book, Jocelyn Wishart and David Green use the Cognitive Foresight Toolkit from the UK government to develop a set of scenarios on the future of work-based mobile learning. Four separate scenarios were developed. Overall, this book fills several gaps in our knowledge of work-based mobile learning, especially the different ways that mobile devices are being used while working, ethical issues that will arise when working with vulnerable populations, and projections of the near future in this rapidly changing field. In spite of its relatively high cost, this is an important book for any mobile learning professional to read.